In the path to purchase, customers will likely take several steps before finally handing over their credit card information at the register. Hoping to simplify and expedite that process for customers, retailers last holiday season made product acquisition fun and easy through the power of AI-powered shopping assistants and real-life influencers to provide specialized gift recommendations. While recommendations are critical for driving sales, they have proven to be a challenge for retailers to implement. In 2017, the Wall Street Journal reported that “nearly 90% of organizations say they are focused on personalizing customer experiences, yet only 40% of shoppers say that information they get from retailers is relevant to their tastes and interests.” Meanwhile, holiday shopping around Black Friday and Cyber Monday last year generated more chatter online than the Super Bowl, according to AdWeek, proving that when it comes to shopping, customers are increasingly looking to social media for inspiration and information. It begs the question: How can retailers step in to help fill the information gap on the path to purchase? PSFK researchers identified two trends during the holiday shopping season that were key to answering this question: virtual assistants, or conversational AI that encourage consumers to explore product possibilities, and influencer curation, where tastemakers create shopping lists to offload the burden of finding the perfect gift. Below, we take a look at three examples. The Mall of America’s chatbot aimed to make holiday shopping easy using an Amazon Alexa Voice skill. The bot—available across various platforms, including Mall of America’s website, mobile app and Facebook page—let users ask questions so they could map out their mall plan before arriving. Users could also ask for directions while they were there, brainstorm gifts to buy, and learn about deals and events. In addition to the text-based bot, the mall and developer party Satisfi Labs created a voice-enabled skill to let customers access the bot through Alexa. Gwyneth Paltrow’s Goop curated a holiday guide for 2017 that included gifts for hosts, animal lovers, travelers, “dreamers,” lovers and the under-18 crowd. 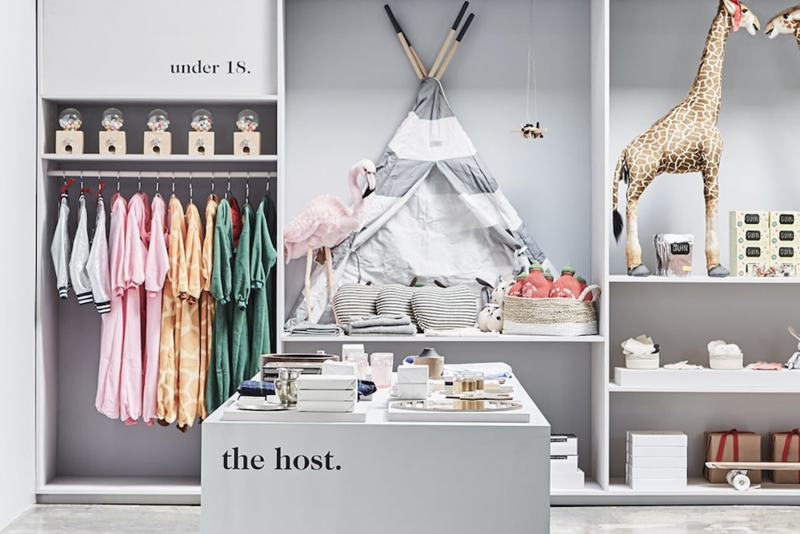 To compliment the online feature, Goop opened a holiday Goop Gift pop-up in New York as a one-stop shop for its readers’ gifting needs. The downtown store included all of the Gwyneth-approved holiday gifts from the guide, as well as a personalization station, hand calligraphy and special delivery via its newest partnership, gift Lyft. Marks & Spencer and its agency Grey London debuted the Christmas Concierge, a bot that offered customers inspiration to help plan their perfect Christmas, where users opt in to receive tips on food, hosting and presents. The experience was available to U.K. customers until December 24. These are just a few ways that retailers got creative during the holidays to help drive product discovery, interaction and purchase. For even more insights from PSFK researchers on the most successful holiday marketing and retail strategies from 2017, check out our recent report, Recap: Holiday 2017 Marketing & Retail Strategies.